Photo Contributed by Linda Ziemann. Thanks to a generous volunteer, Harlan Woolworth, we now have this additional information. 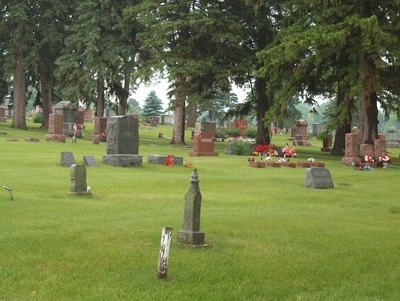 This is where you can find the Kingsley City Cemetery burial records. Give them a call..